Samsung Cinha has recently announced a new model in Samsung family. 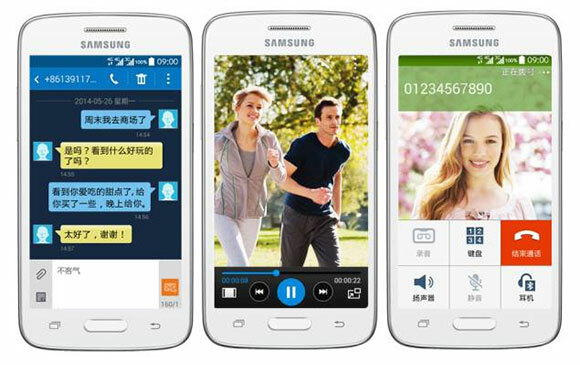 The new smathphone is called Galaxy Core Mini 4G. For now the phone is exclusive for the China country, but maybe it will arrive to other countries, and more users will be able to experience the pleasure of using this smartphone. The features of Core Mini 4G include: a 4.3" LCD with a resolution of 800 x 480 pixels, the heart of this model is a a 1.2GHz quad-core CPU and 1.5GB of RAM. The chipset is a Snapdragon 200 and the CPU is a Cortex-A7. The internal memory is 8 Gb which can be increased by inserting a microSd simcard. On the back of the phone we can find a 5MP camera with LED flash capable of recording 720p videos, but there is no front-facing camera. Also the phone comes in stock with the newest Android version 4.4 Kitkat. Our service sim-unlock.net offers special unlock codes, to remove the sim blockade for all Samsung models. If you are tired of using the same supplier all the time, unlock your phone and choose any supplier you want.